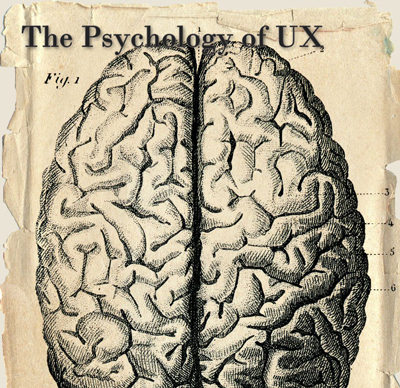 Welcome back to the Psychology of UX series! Today we are going to talk about something that most people think they do very well, but in actuality don’t…. MULTI-TASKING. If you are multi-tasking while reading this blog post, CLOSE THE OTHER WINDOWS. I need your full attention. Seriously. Let’s find out why. 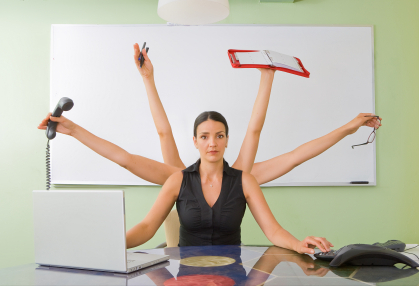 Multi-tasking is a modern trend where we try to mentally manage two or more tasks simultaneously with the (erroneous) belief that we are optimising productivity. For instance, you might be at work checking your emails, while also filling in an excel spreadsheet, reading the news, chatting to your co-worker about internal changes, drinking a cup of tea, and browsing some websites to gather research for a presentation you are putting together– all at the same time. This might be a typical work day for most people. At home, media saturates the multi-tasking experience even more with people often watching TV while browsing numerous websites on their laptop and texting a friend on their phone. This kind of behaviour has become so commonplace in our society today that most people would agree they do this, and most would also defend their ability to manage multiple things going on at the same time. But they’d be wrong. Don’t believe me? Try this experiment. Think about the taste of chocolate while you mentally add 38 and 272. Mmm, 310 is my new favourite flavour! No, but in all seriousness, you couldn’t do it. It’s impossible. ….of the word itself helps us understand how far removed this method of operating is from the way the human mind works. 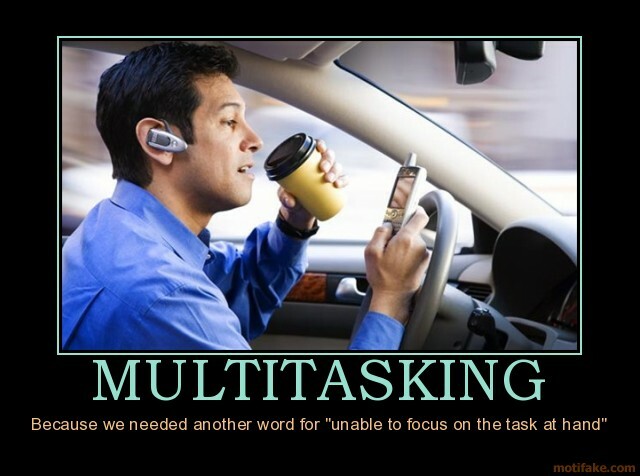 In fact, the term ‘multi-tasking’ came about from the computing industry back in the 1960’s to refer to the ability of a microprocessor to process several tasks at the same time. It wasn’t until 1998 (only 13 years ago) that humans started adapting the word to themselves. So in retrospect it is a very new concept and an even newer practice for human beings to be undertaking. But what about historically speaking? 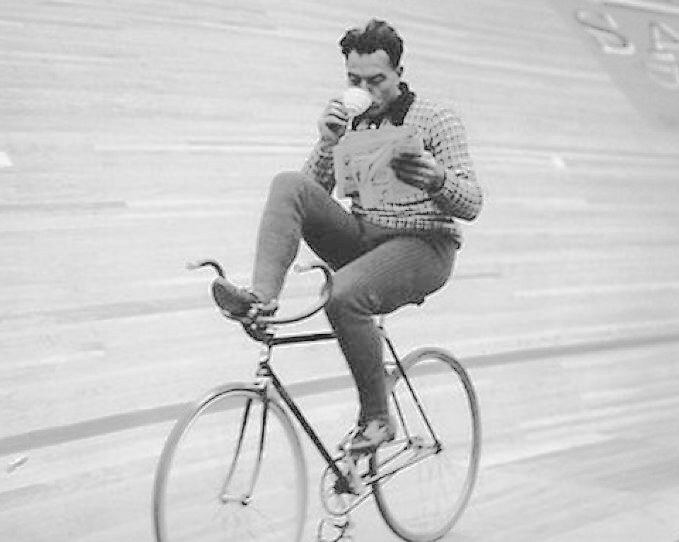 Did our ancestors multi-task without knowing they were “multi-tasking”? Sure. Human beings have always had the capacity to handle several things at once since the time of hunter-gatherers. Mothers would pick berries while feeding their infants, or preparing food while keeping an eye on their children. Men would have had complex, long hunts where they had to have mental maps of where their buddies were in hiding to optimise their approach in hunting the animal, simultaneously remaining quiet, exploring the land with their feet to ensure stability and preparing to attack. Because of this need, we developed part of our brain known casually as ‘the executive system’ and officially as ‘the prefrontal cortex’. This front lobe of your brain conducts your focus by helping you ignore distractions and switch from task to task. But nowadays it seems our assuredness in our ability has surpassed the ability itself. 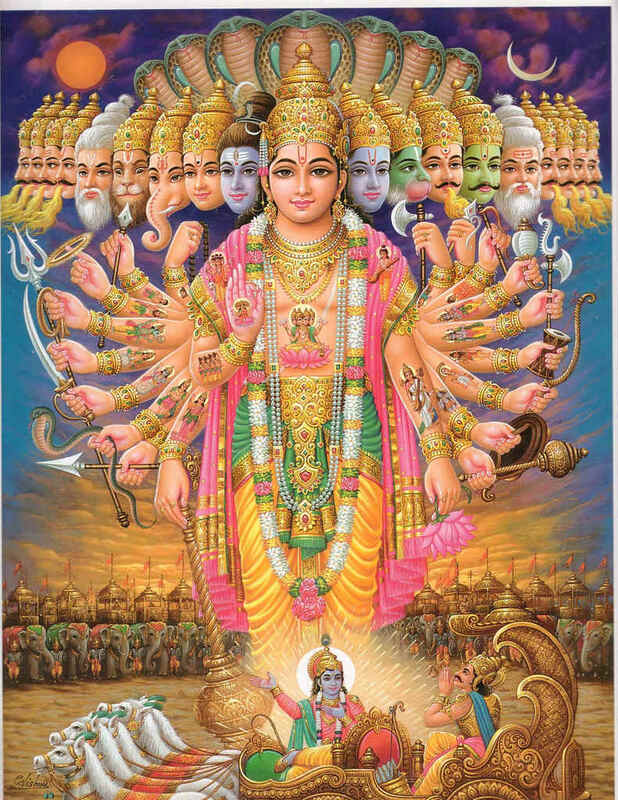 You might have experienced this if you ever have tried to type a message to a friend on a computer while someone else talks to you in person. Your mind tunes out the voice and while you can pretend you are paying attention, you will most likely have to ask them to repeat themselves. 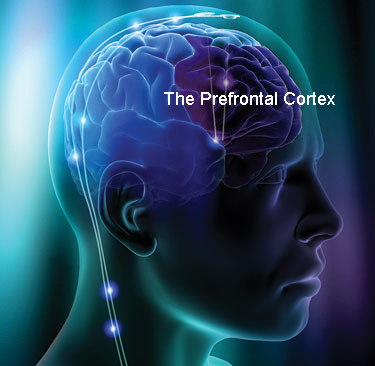 The way the prefrontal lobe works is that it can only process one thing at a time, but it can switch between two tasks very rapidly. You can do more than one thing seemingly at the same time, but in reality you are ordering them and deciding which to do at that specific time. However the negative side to switching from task back and forth again and again is that it takes about one minute to recover our train of thought, breaking our concentration and making us unfocused. For full concentration on one task to be re-established, it can take fifteen minutes! In this mode we are only capable of superficially scraping the surface. This in turn is more counter-productive than anything else. If Dilbert says it, it's true. Nowadays the speed and amount that we multi-task has exploded due to technology. Software often requires us to think about multiple things at the same time. For instance, if the predictive text feature on your mobile phone is correctly amending what you are writing as you write it, you are forced to pay attention to two very similar tasks. And if the tasks are too similar they compete for the same space in the brain, and you mentally can NOT focus on both at the same time. Yet if one task is something more automatic or highly practised like walking or breathing, we can do another conscious task simultaneously as we require very little processing to perform the first function. 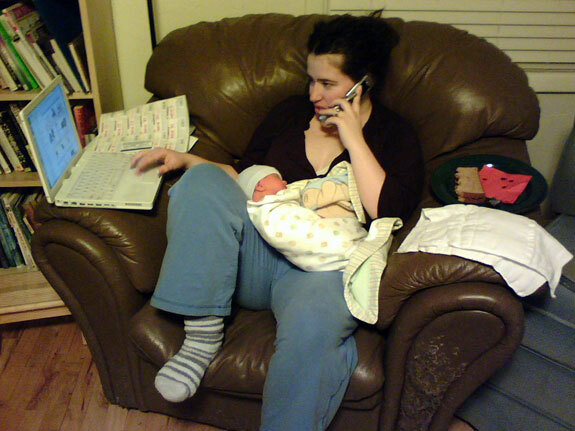 Multi-tasking is very popular these days. It hints at productivity. It seemingly allows us to split our attention (most likely from one or more things we don’t want to do…. and potentially another we do — like watching TV while you do your homework). This makes the work become less tedious. While this practice can be easy to fall into, we should avoid it as it will take us longer to accomplish any one task, not to mention the quality will most likely fail. Even more importantly, the brain needs time to recover between switching between tasks to gather its thoughts. Without this time, the individual will be over stimulated and quickly become stressed out with all of the effort they are giving to multiple tasks. Too much multi-tasking can condition the brain to an overexcited state which makes it hard to focus even when you want to. This makes for unhappy, unproductive and exhausted workers. Do you really want that? Well, the honest answer is: we can’t. We should respect the way our mind works and work in a similar fashion. From a UX perspective, we can design software, websites and all digital interfaces to minimise distraction and focus the user’s attention onto one task at a time. This means you can’t have all the tools in the toolbox in front of you when you work. We can give our users more of a holding hand as they are guided through a clear workflow that helps them accomplish one task, and THEN another… and another. One at a time, considering what communication and information is really worthy of interrupting your precious concentration and when you should seek out new data. This is a myth. Humans don't operate this way. We at Caplin are really starting to consider ways that we can incorporate this approach of one task at a time into our designs so that our users won’t be as overwhelmed with the amount of data available to them. The financial world seems to LOVE throwing every single piece of data onto every possible screen they can, which must overwhelm users of these systems immensely. While seemingly giving the user a feeling of power with all of this information at their fingertips (this is the upcoming topic for The Psychology of UX: Part 7 coincidentally), realistically they are only able to focus on one item at a time, flitting from one to another to another to another to another, trying to remember what they were thinking just a second ago. Are you exhausted yet? I am. is to multi-task tasks that don’t share attentional resources, i.e. use different sensory inputs. Like visual and auditory, which can work together without interfering at times. One really cool example we found of this was a chart that has supporting sounds to reinforce the direction of movement of the graph, which helps reinforce understanding. Check it out for yourselves! Imagine the potential for tapping into our user’s various senses to help them quickly understand what they are seeing, as well as helping them focus, and in turn be more productive. 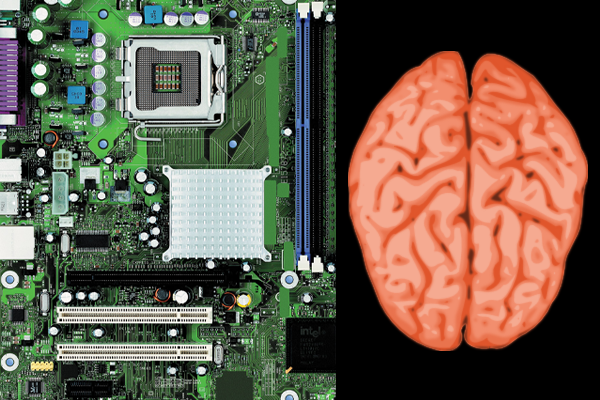 …and the maximum things they can do at one time, teamed with tapping into our various sensory systems may be the key to creating interfaces that are designed with the user in mind: a human being, not a microprocessor. 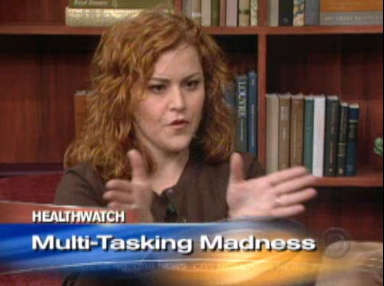 Mono-tasking should be the new multi-tasking. Spread the word. The next part in The Psychology of UX series will be on how common it is for humans to make mistakes. Stay tuned! P.S. I attempted to multi-task when writing this blog post for the irony and it took me four days of occasionally writing a sentence before I got fed up. On the final day when I decided to mono-task (it’ll catch on 😉 ) I managed to compile this in an hour or so. Proof, it works!